To celebrate the worldwide release of Harry Potter and the Cursed Child (I've pre-ordered my copy! ), and the upcoming Fantastic Beasts and Where to Find Them movie(s? 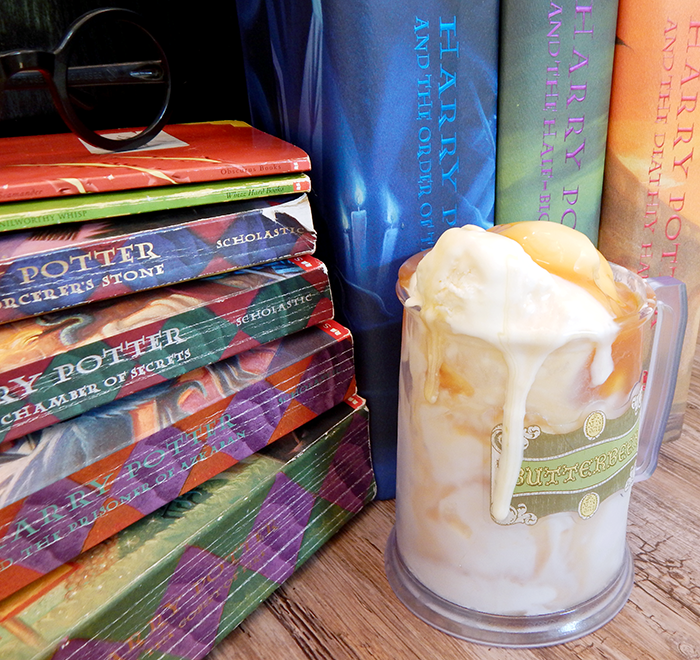 ), I had a Harry Potter movie marathon while I whipped up some butterbeer ice cream. 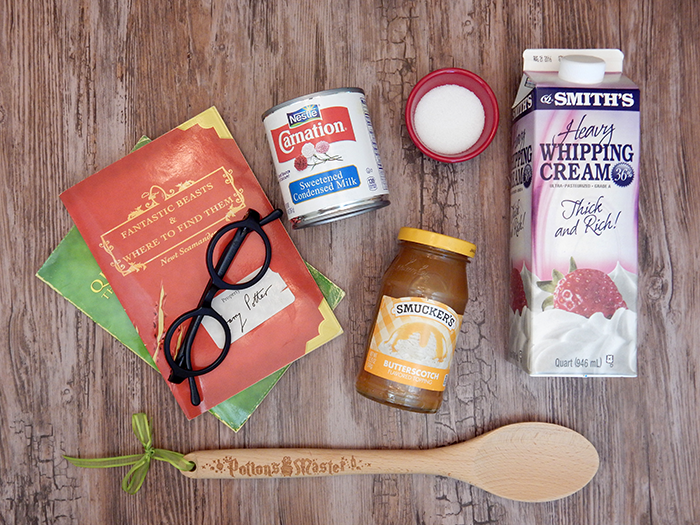 Siriusly, this recipe is so easy even Neville Longbottom couldn't mess it up. The base for the no-churn ice cream is heavy whipping cream and sweetened condensed milk. As a twist from my classic two ingredient ice cream combinations, I added a touch of sugar for texture, and swirled in the butterscotch before freezing. Swirling in the butterscotch makes it become ribbon-like throughout the ice cream when it's frozen. If you don't know how long to freeze the ice cream, just distract yourself by watching the first five movies, then it should be ready for the last three! Serve it in a mug, Three Broomsticks-style! Gently fold in the sweetened condensed milk until totally combined. Pour the ice cream base into a pan or bowl with an air tight lid. Pour the butterscotch over the base and use a knife to swirl it around so there are ribbons throughout. Cover and freeze the ice cream for 6-8 hours, or until frozen through. Scoop the ice cream into mugs, bowls, or cones. 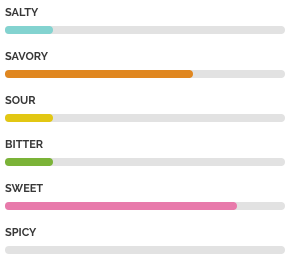 Serve with extra butterscotch topping as desired and enjoy!